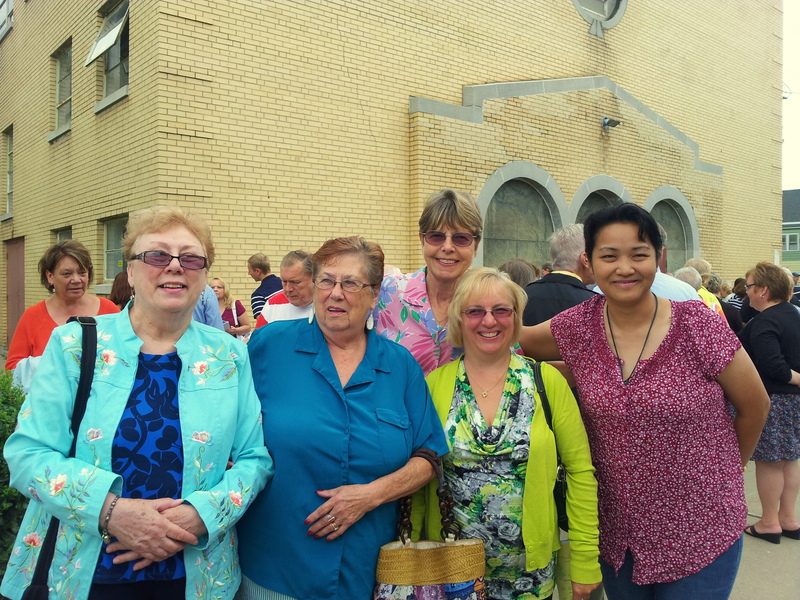 St. John Kanty Church - Buffalo, NY > News > News > SJK Represented at Mass Mob V at St. Thomas Aquinas, South Buffalo! SJK Represented at Mass Mob V at St. Thomas Aquinas, South Buffalo! Today, August 3, Mass Mob V took place at St. Thomas Aquinas Parish in South Buffalo. Santa Maria Cosmedin in the Umbrian Hills of Italy was the architectural inspiration for ‘St. Tommy’s’, constructed in 1949. 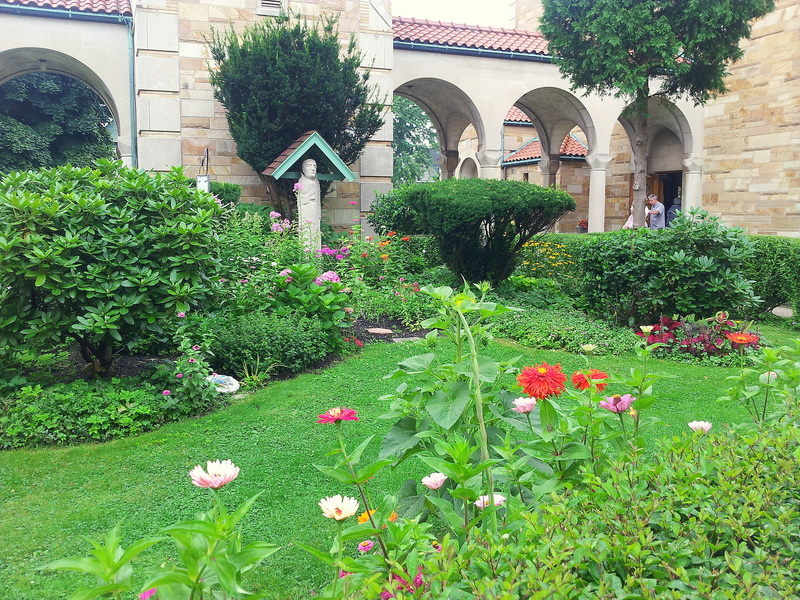 SJK was well represented at this beautiful and uplifting Mass…the church is inviting, the grounds colorful, and the hot dog reception following the Mass tasty…thanks to all involved for your wonderful Irish hospitality!